Marcha Fox has loved science fiction since she was a child with the stars always holding a strong sense of mystery and fascination. 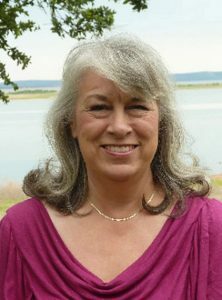 Her love of astronomy resulted in a bachelor of science degree in physics from Utah State University followed by a 21 year career at NASA where she held a variety of positions including technical writer, engineer and eventually manager. Her NASA experience was primarily at Johnson Space Center in Houston, Texas but included trips to Cape Canaveral in Florida, visiting other Centers in Mississippi, Alabama and Maryland as well as visits to the European Space Agency in The Netherlands. Her most memorable experience, however, was the sad task of helping to recover space shuttle debris in East Texas following the tragic Columbia accident in 2003. Would the truth be known, her first love has always been writing and her primary motivation in obtaining a physics degree and working for NASA was to produce more accurate science fiction. While working at Johnson Space Center in Houston she remembers going to see the movie “Armageddon” with a friend who was in the oil business. Afterwards the two proceeded to rip the movie apart for its inaccurate representation of both industries. She has made it a point to “do the math” regarding various elements in her books to assure accuracy and hoping to instill an interest in science and engineering to her readers in an enjoyable and entertaining way. She admits that Cyraria’s figure-8 orbit around a binary star system is a bit of a stretch, but maintains it’s mathematically feasible, even though it would be unstable with life on such a planet beyond challenging due to its seasonal extremes. “But that’s what makes it a good setting for the story,” she adds. Thyron, the telepathic walking plant, has been a reader favorite, so a short story, “The Sapphiran Agenda”, has joined the tetralogy with “The Terra Debacle” planned as well. After that, another spin-off is expected with Allen Benson, a minor character in “A Dark of Endless Days” the protagonist. Born in Peekskill, New York she has lived in California, Utah and Texas in the course of raising her family, which included fifteen years as a stay-at-home mom before returning to college in her 30s to obtain a physics degree, a feat accomplished while she still had six children at home. All are now grown with children of their own providing her with 17 grandchildren and four great-grandchildren so far. Never at a loss for something to do, besides writing she enjoys gardening, her two Bengal cats, and keeping up with her family. Stories and characters come to life in my head and I have a tremendous amount of fun turning them loose. I loved books as a child and started writing my own stories when I could barely hold a pencil. I remember writing science fictions stories in 6th grade that explained why our teachers were so weird by claiming they came from a distant planet. I can still see the yellow, lined paper I scrawled them on and my friends’ expressions as they read them. Now I’m entirely hooked on writing fiction and the joy that comes from creating a character and recording their story so they can live in the minds of my readers. As a science fiction writer, new technologies and scientific theories serve as inspiration as well. Technology is expanding so quickly these days it’s a considerable challenge to keep ahead of it, however. Much of what started out as science fiction when I began writing this series has since become science fact which necessitated numerous upgrades. My writing process starts with the story’s premise, the classic “what if”, then inviting the various characters to participate. In the first book of my Star Trails Tetralogy, “Beyond the Hidden Sky,” this involved a family emigrating to another planet, one where their life would be entirely different from the comfortable, predictable, affluent lifestyle they’d experienced before. I cooped them all up in a tiny starship cabin where two teenage siblings, Dirck and Creena, who never got along anyway, bicker and argue to the point their parents finally tell all the kids, which also included their little brother and various cousins traveling with them, to go to the galarium (their version of a library) to find something to do. Of course their arguing escalates even more and Creena takes off by herself to find some peace and quiet. She finds what appears to be the perfect hideaway through a mysterious hatch and by the time she realizes it’s an escape pod, she’s accidentally jettisoned herself into deep space. That was the premise of the story, which I admit was inspired by R2D2 and C3PO’s jettison in Star Wars, and from there I let the characters take over and dictate the story. More often than not, I don’t have any idea what will happen next until the characters “tell” me. I listen as well as talk to my characters all the time. It’s as if I’m watching a movie in my head, seeing what they do and say and typing it into my computer as if I were taking dictation. In some cases it almost feels as if they have a link directly to my fingers and are telling the story themselves. I talk to them as well, especially when they get themselves into such a mess that neither they nor I have a clue how they’ll get out of it. That happened a lot in the fourth and final volume, which resulted in it taking much longer to write than I expected. I also had to make sure everything was consistent with the previous episodes. I do my best to keep the science credible and there are times when that gets complicated as well when you’re dealing with characters on different planets or traveling through space at relativistic speeds, which according to Einstein’s Theory of Special Relativity, means time is moving at different rates. Since my characters are high tech types from a more advanced world, they usually have to tell me how to deal with that situation. 1. Years ago I taught a writing class where I advised my students to make sure they included certain key elements in their stories which were represented by the acronym IDEAS. The letters stand for Imagery, Dialog, Emotion, Action and Suspense. Many of us, including myself, can get the action and dialog captured quickly but often at the expense of the of the elements which round out the story. Imagery is important so the reader can visualize the setting and make the story come to life. Emotional involvement is important as well. If the reader can’t relate to the character they won’t care what happens so they need to know what they’re feeling and what is motivating them. Suspense is what keeps them turning the pages so that always needs to be present, wondering what will happen next. After writing that first draft, read it through to check whether all those elements are covered and if not, edit accordingly. I never get it on the first try. I am one of those authors who never finishes a book, I abandon it, because I can always think of something to add or a way to say something more effectively. 2. Develop a strong vocabulary. I am one of those weird people who not only uses the dictionary a lot but will actually read it, finding delight in discovering new words. Using the correct word to describe what is going on strengthens your writing. Use verbs as much as possible as opposed to relying on adverbs or adjectives. Say it clearly while using the least number of words. 3. Get to know your characters. When you’re first starting, it helps to develop a list that includes their physical appearance, temperament, background, hobbies and so forth. I go through magazines and the web looking for pictures that look like my character and put them into a notebook which comes in very handy when you’re describing them for your readers. Little details like nervous habits or unique expressions make them come alive. 4. Respect your reader by cleaning up your work and making sure there are no spelling or grammatical errors. Word processors make this easy and can even alert you as you’re writing. Writing is easy but rewriting is difficult and even boring. Mistakes and sloppy writing will distract and annoy your reader so they can’t enjoy the story. Some will always slip by, but don’t expect a reader to tolerate it if there are errors throughout. Editing your own work is difficult. If you can let it sit for a while, the longer the better, you can sometimes go back later with the objectivity you need. If you never find anything you can improve upon, then you need to consider hiring an editor. Another option is to join a writers’ group and read and edit each others’ work. I learned a lot about writing that way. Finding errors or plot inconsistencies in someone else’s story is easy and I often found that I was guilty of the same mistake that I had been blind to before. 5. Recognize that your writing and style will evolve with time and practice. Few can sit down and write a best seller on their first attempt. Some go so far to say your first novel should be thrown in the trash and called tuition. Don’t be discouraged. If you love to write, keep at it and your craft will develop. Writing is a skill like math, music or athletic ability. It takes practice, practice, practice. It will get better and better with time and experience. Don’t compare your work to others unless you can do so without being discouraged, or perhaps arrogant, if your skill exceeds theirs. If your story is not as good as someone else’s, recognize that at some point they were probably where you are. If your writing is much better, be encouraged with your progress while recognizing that the other person can catch up with practice. Accept criticism graciously, even if you don’t agree. Rather than feeling hurt or defensive, consider it helpful for improving your writing. 6. Book covers are tremendously important. Make sure it does all your hard work justice. If you’re not an artist, find one. You can find them in all price ranges and a professional cover will help tremendously when it comes to attracting readers. 7. Social media is essential. Make sure you have a presence on Facebook, Twitter, LinkedIn and as many others as you can handle, including your own website and blog. Speaking of which, you can find more writing tips are on my blog. Many years ago I went through the frustration of trying to find a publisher. It soon became apparent that getting published was very political, meaning you had to know someone. If you can afford to go to writers’ conferences and meet editors, publishers and agents, that is one way to break in, but my circumstances were such when I was raising a family that I couldn’t afford that approach. Thus, when technology advanced to the point that I could publish my own work I jumped on it like a duck on a June bug. I had many years of experience writing and editing technical documents at NASA, writing nonfiction, and my various novels, one of which earned first prize in a state contest back in 1987, yet was never published. I had a lot to learn about marketing because self-promotion does not come easily to me. But it meant a lot to be able to first publish my books in ebook form on Kindle and then eventually see them in print so I could actually hold them in my hand. I had always dreamed of that moment and being able to make it happen through my own efforts was very satisfying. I always envisioned the series as a print copy box set and eventually did that as well. I would love to hand off all the “dirty work” of writing such as formatting and marketing to a publisher, but publishers don’t have unlimited budgets for that and expect authors to take some responsibility for promoting their work as well. It’s also important to realize that all publishers are not the caliber of Random House. Some are disreputable and will cause you more trouble than anything if they produce an inferior product. Be sure you check them out, see what else they have published and how their books have ranked. You may actually be able to do better yourself. I’ve read books that came out through a publisher that were obviously not edited properly, so it’s no guarantee. Being an Indie writer, I have the satisfaction of seeing my work in print and accepting responsibility for its fate. Book publishing is transforming rapidly. The advent of ebook readers was monumental. I was amazed how easily I adapted to a Kindle. I have loved reading all my life and the feel of a book in my hands was part of the experience that I was reluctant to let go. But books are heavy, expensive and take up a lot of room if you’re a bibliophile like I am. While there are still various advantages to printed books, like being able to flip through the pages to find a certain part, search functions on ebook readers are coming close to that. I will always love print books because that I what I grew up with, but I can see how younger generations will have a natural affinity for electronic versions. Being able to self-publish has advantages and disadvantages. What bothers me the most are Indie authors who put an inferior product out there to satisfy their own pride. It is also difficult to make an income from writing, even more so than ever before, because there are literally millions of books out there and sometimes you can’t even give your book away. This points toward survival of the fittest. Those authors who produce what their readers are looking for and are determined enough to learn how to promote their work in spite of the competition will still find success.